JV Stangs’ Shutout Winning Streak Continues With a 5-0 Drubbing of Bothell High! What a result for the Stangs’ first home game of the season! After two league games, our boys ride to the top of the JV KingCo 4A table tied on points with Eastlake and Issaquah but with a superior goal difference (3 more than the other two). The games against Hazen and Glacier Peak were friendlies. As usual, our boys started with probing runs and passes to size up the Cougars, and dictating the flow of the game. A few shots on goal from outside the box and a couple of dangerous crosses all within the first 10 minutes were previews to what was to come on a beautiful warm evening. A Luke Hammond corner from the right at the 12th minute was met perfectly by an unmarked Pablo Sanchez who headed the ball down, bouncing it off the turf into the back of the net for the Stangs’ first goal. 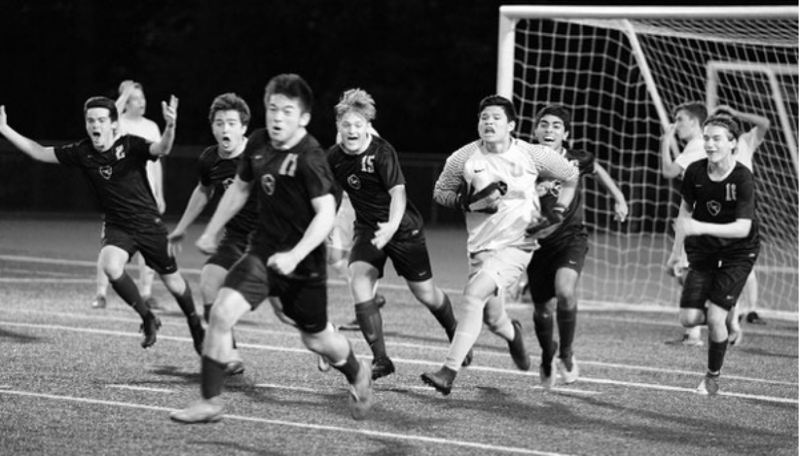 Without letting off the pedal, the Stangs continued their assault on the Bothell goal, leveraging the speed from the flanks and some fancy footwork and were rewarded with two goals in quick succession. An attack that started just inside the Bothell half in the 18th minute saw Luke Hammond dribbling the ball all the way into the Bothell’s 6-yard box on the left before threading an inch-perfect pass to an unmarked Jacob Martin running in from the right. Jacob made no mistake and buried it home for the Stangs’ second goal. A minute later, it was Jacob’s turn to assist. Intercepting a pass 20 yards inside the Bothell half on the right, he fed an onrushing Julian Bilger on the left who ran the ball in to the penalty area before unleashing a low shot past the outstretched arms of the Bothell keeper for Redmond’s third. These classic wide plays seem to be a hallmark of the Stangs’ attack. In the 24th minute, Will Fitzgerald took possession from deep in our half, before sending the ball upfield past a Bothell defender on the left. This set off a foot race between the defender and Ben Rist. Even with a 5-yard disadvantage, Ben caught up but was pulled down two-yards outside the Bothell box. Alex Mathis curled the freekick over the wall towards a wrong-footed Bothell keeper. 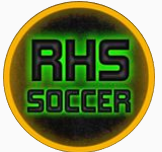 The ball bounced off the keeper’s chest and in the ensuing goalmouth melee, Jacob slammed in his second goal of the game, and Redmond’s fourth. The Stangs were not done yet as the evening was still young!! In the 32nd minute, another attack from the left flank saw Ryan Maldonado sending a nice looping cross from the outside left corner of the Bothell box. Ian Loo, coming in from the right, read the flight of the ball perfectly and nodded home Redmond’s fifth goal. It was pretty much Game-Set-Match with a half to spare (pardon the racquet sports/volleyball reference). Bothell came back stronger in the second half and managed to string a few attacks together but our boys defended well and we were saved by the upright at the 60th minute. The Stangs also had a few chances but they were well defended by Bothell’s back line and keeper. What a great start for the the team considering this is our first season in a tougher division. Well done Stangs! Let’s keep on rollin’. Previous postRHS Varsity set pieces as tasty as pie as the Stangs take down Hazen 5-1 on 3.14! Next postRHS Varsity blanks Gonzaga Prep 4-0 in Saturday morning breakfast club match!